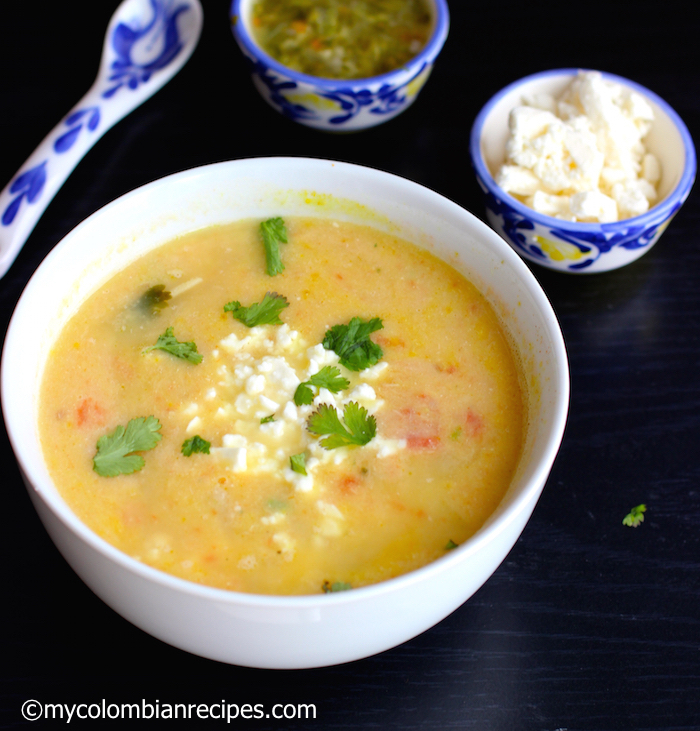 Locro is a comforting, thick and hearty soup popular in Latin American cuisine. 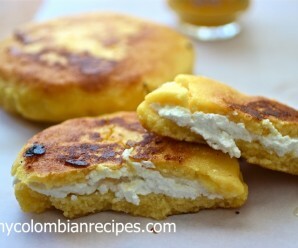 Almost every South American country has their own version of this dish. 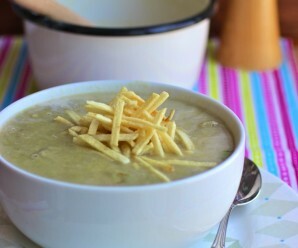 Locro is typically made with potatoes and cheese in a milky broth base, but Argentinian Locro is a little different, as it is usually made with vegetables, corn and meat. 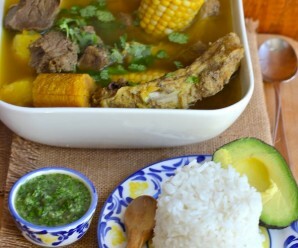 Colombian Locro is traditionally from the Nariño department of the country. It is located in the west of Colombia, bordering Ecuador and the Pacific Ocean. 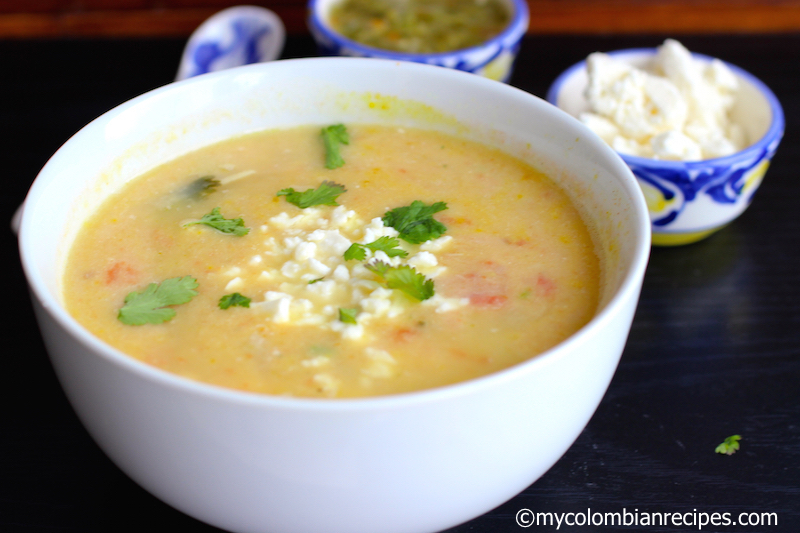 Nariño and Ecuador have many similar dishes in their traditional cuisines, Locro being one of them. Some people in Nariño like to top Locro with an egg before serving it, but I like to serve it plain with avocado and aji on the side. 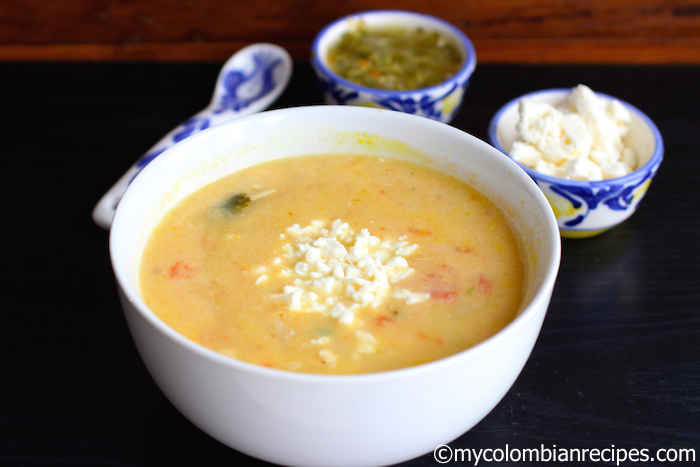 This delicious soup is a Semana Santa (Passover) favorite in that region. Place the potatoes and hogao in a pot and mix well. Cook for about 5 minutes, stirring often. Add the water and bring to boil, cook until the potatoes are very soft about 35 to 45 minutes. Using a potato masher or a fork, mash the potatoes in the pot leaving some chunks. Add the cheese, parsley and cilantro. Mix well and remove from the heat. 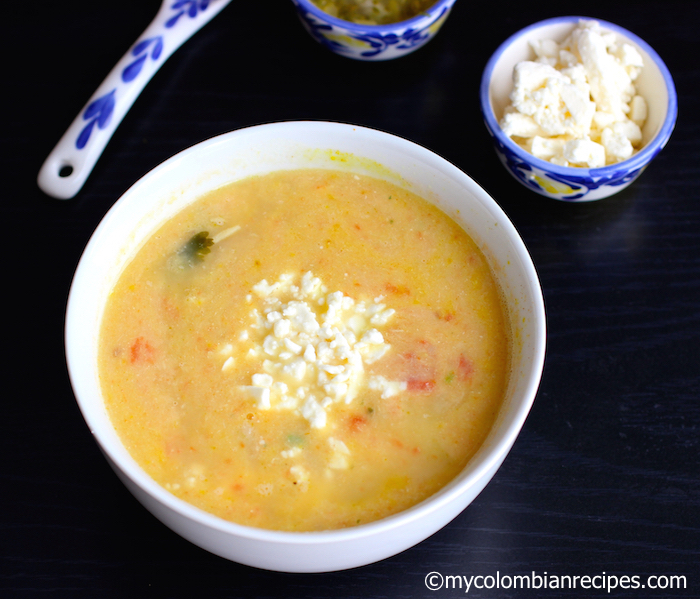 Sprinkle extra cheese and serve with ají and avocado on the side. 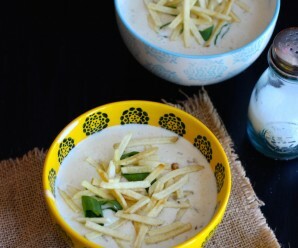 Hearty and full of flavor!! 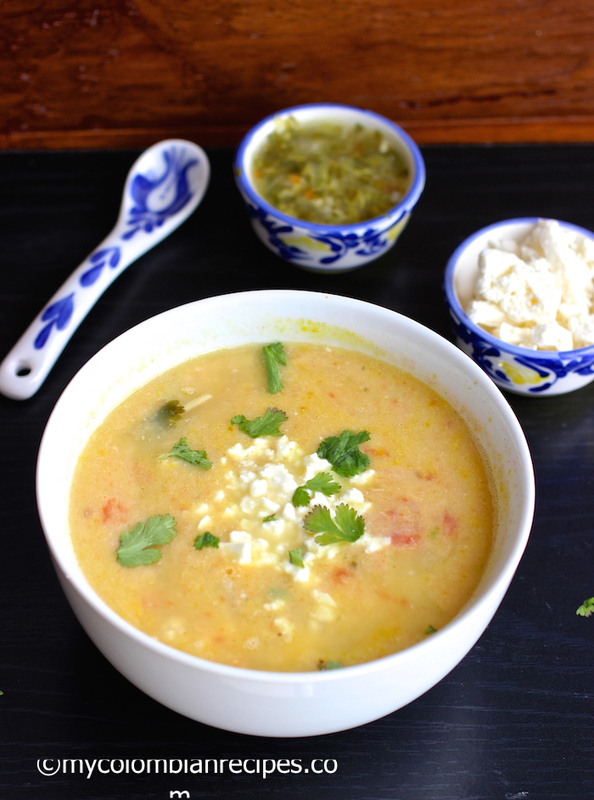 since feta isn’t a very good melting cheese, i’ve never had it with soup–great idea! I like that you use two types of potatoes since each brings their own texture and tastes. I learned that when learning about making the perfect mashed potatoes.